I agree with you, yes. What’s your favorite off of this album? Mine is no doubt Re-Wired, I’ve replayed it like a hundred times. Haha. Cheers, much appreciated! I haven’t done a song by song review like you. Classic video of Serge on Soccer AM. Velociraptor is my favourite – catchy, nice riff, punky. What more could you ask for? Best album so far or is that still West Ryder…? Hey, wow, great review. 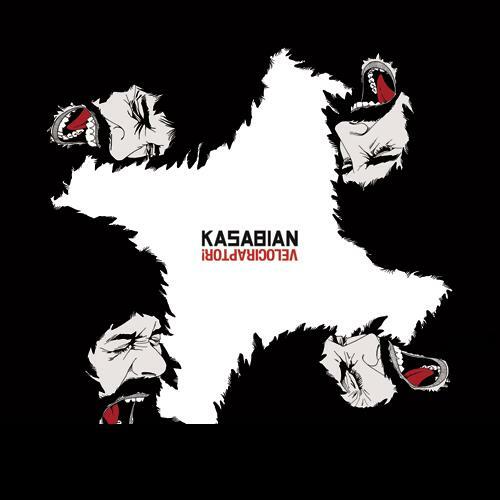 I’m really not keen on this release, Kasabian took a completely different approach to this one than to the previous albums – something that doesn’t quite work for me, though it seems to work for all the other fans (your prediction was right, about them propelling it to no.1!). West Ryder is still definitely way above this one methinks.